Interests: Management of treatment of skin conditions. Consults: Mondays for Skin checks only. Not available for general health matters. 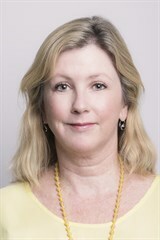 Jenny spent many years in General Practice before developing an interest in management and treatment of skin conditions. She has over eight years experience in cosmetic medicine, including the management of acne and rosacea, laser skin treatments, as well as dermal fillers and anti-wrinkle injections. She recently completed a postgraduate Diploma in Dermatology with the Australian Institute of Dermatology. She is also a trained skin cancer physician, and has a special interest in treating sun-damaged skin.